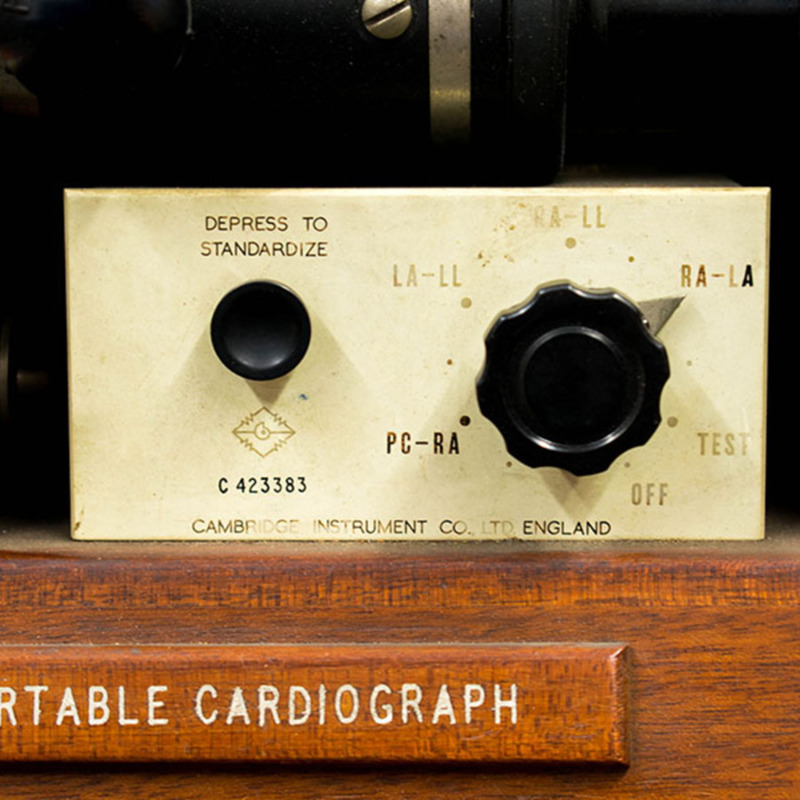 A cardiograph is a medical device that measures the activity of the human heart, e.g. the heart rate. 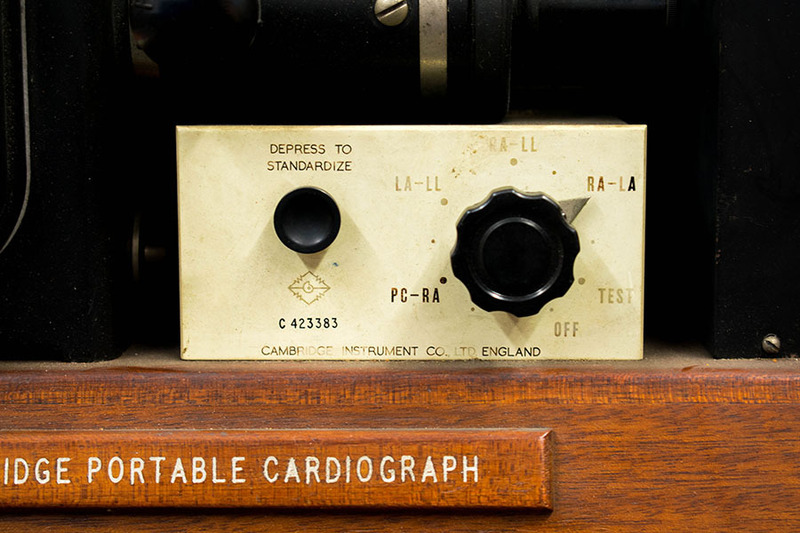 This portable cardiograph was manufactured by the Cambridge Scientific Instrument Company Ltd., and is held within a leather suitcase. Electrodes would have been placed on the chest wall at the level of the heart, as well as the standard pulse locations, which would measure the heart rate of the patient. 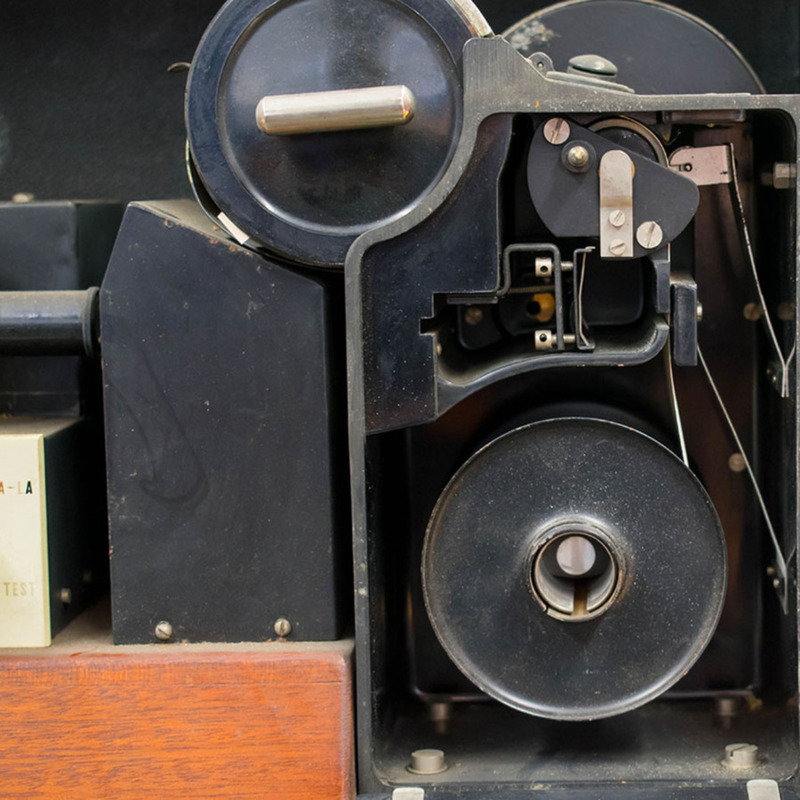 This particular device was formerly owned by Dr. R.G. Lendrum. 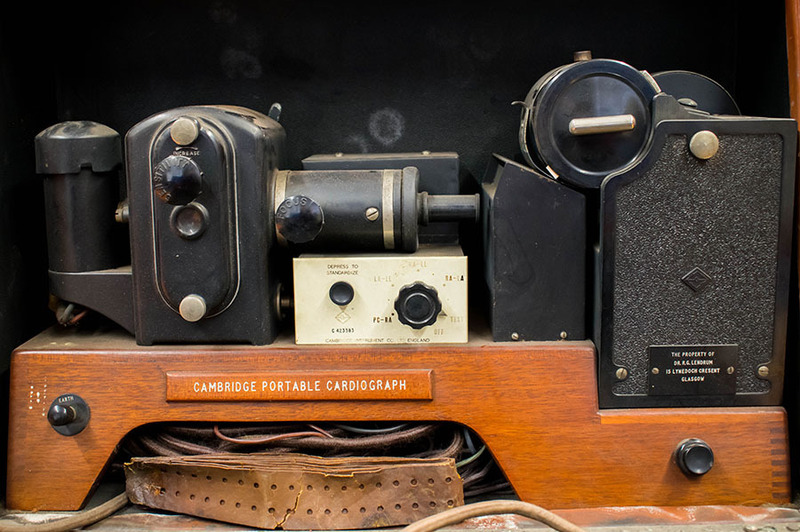 Cambridge Scientific Instrument Co.; 1881-1968; Scientific instrument manufacturers, “Cambridge Portable Cardiograph,” Heritage, accessed April 25, 2019, https://heritage.rcpsg.ac.uk/items/show/95. Description: A cardiograph is a medical device that measures the activity of the human heart, e.g. the heart rate. 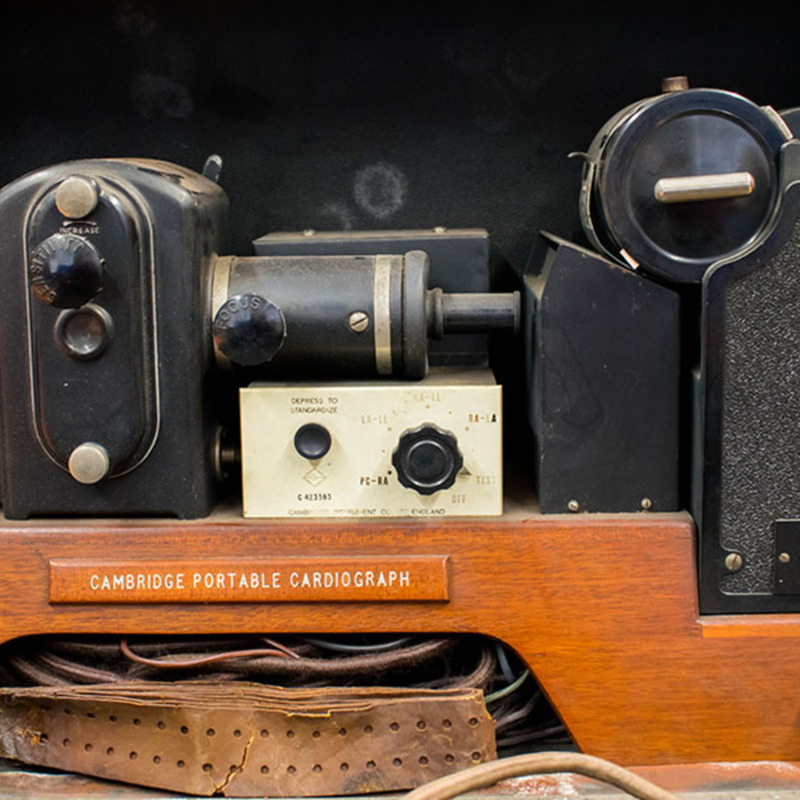 This portable cardiograph was manufactured by the Cambridge Scientific Instrument Company Ltd., and is held within a leather suitcase. Electrodes would have been placed on the chest wall at the level of the heart, as well as the standard pulse locations, which would measure the heart rate of the patient. This particular device was formerly owned by Dr. R.G. Lendrum.